The newest program in Elkdom is an old one! Yes, it is the Junior Elks Program called “the Antlers.” It is a chance for young people in our communities to get involved with the Elks in the many service-related projects our Lodges sponsor. 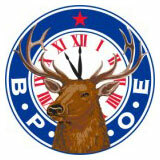 The program was initially organized in the late 1930’s and went well for several years as an active arm of the Elks. However, by the 1960’s interest in the program had waned and was ended. Recently, a few Lodges have restarted the program with great success. Membership in the organization is open to any individual who has passed their twelfth and not yet reached their twenty-first birthday, who is a citizen of the United States of America, of good character and who believes in the existence of God. See if this program is available in your area by contacting the local lodge near you.